Google on Tuesday rolled out Android Pie, its highly-anticipated mobile phone operating system. This OS’ major updates focus is on artificial intelligence, which will allow the system to “learn” from the user and customise the Android experience. With the Android Pie update, the search engine giant has promised that the phone would become more and more tailored and customised with the user’s behaviour and usage. “We’ve built Android 9 to learn from you — and work better for you — the more you use it,” said Google in an official statement. 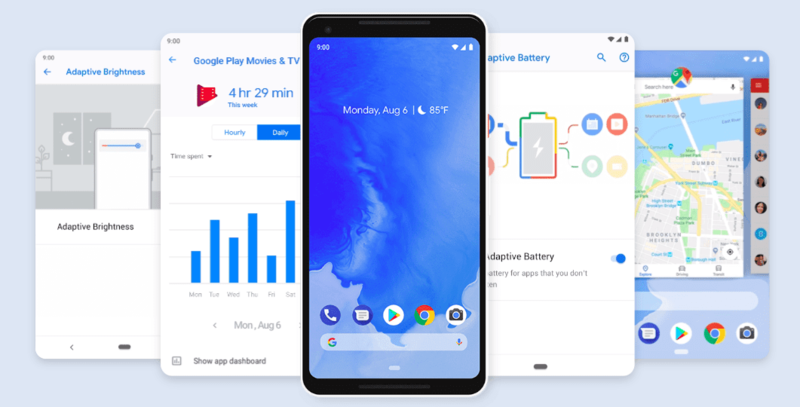 From predicting next task so that the user can jump right into the action he/she want to take, to prioritising battery power for the most-used apps, to helping the user disconnect from the phone at the end of the day, Android 9 promises to adapt to the user’s lifestyle. Android Pie comes with features like Adaptive Battery, which learns the most-used apps most and prioritises battery for them. Another feature called Adaptive Brightness learns how the user likes to set the brightness in different settings, and does it for him/her. Also Read Is MediaTek Late In Entering India’s AI Market? Other interesting new features include Slices, which bring relevant parts of the user’s favourite apps to the surface; Intuitive Navigation which helps switching between apps with a gesture; and other “wellbeing” applications such as App Timers, Dashboard, Digital Wellbeing and Wind Down. Starting today, an over-the-air update to Android Pie will begin rolling out to Pixel phones. And devices that participated in the Beta program such as Sony Mobile, Xiaomi, HMD Global, Oppo, Vivo, OnePlus and Essential, as well as all qualifying Android One devices, will receive this update by the end of this fall. Google is also working with a number of other partners to launch or upgrade devices to Android Pie in 2018.